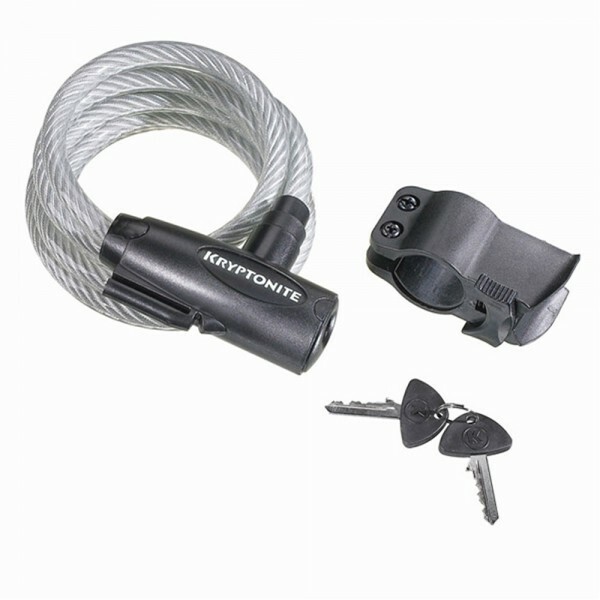 An affordable cable lock deterrent for very low crime areas. Coiled steel cable for easy transport. Integrated key head. Protective vinyl covering. Seat pin carrying bracket included.